In 2017, the Department for Business, Energy and Industrial Strategy commissioned a new report designed to inform future decisions about the funding of energy efficiency schemes. The report was produced by University College London (UCL), Bartlett School Of Environment, Energy & Resources (BSEER), with support from Cambridge Architectural Research. Entitled "Understanding Best Practice in Deploying External Solid-Wall Insulation in the UK", the 96 page report makes numerous references to work carried out by SBS. In particular, it cites its work with Nottingham City Homes and Permarock. All three organisations were interviewed at length earlier in the year by researchers who wanted to identify the most effective approaches to area-based 'mass deployments' of solid wall insulation systems. The executive summary of the report notes that: "The roll-out of external wall insulation to solid walls can bring about significant emissions reductions from the building sector and make a significant impact on household energy consumption... Mass deployment and roll-out of energy efficient retrofit through area-based approaches has been increasingly seen to be a key method to delivering high quality and cost-effective installations. In this context of area-based approaches, we have studied mass deployment ‘exemplar’ housing retrofit schemes in five different towns and cities across the UK to identify, analyse and assess best-practice lessons." 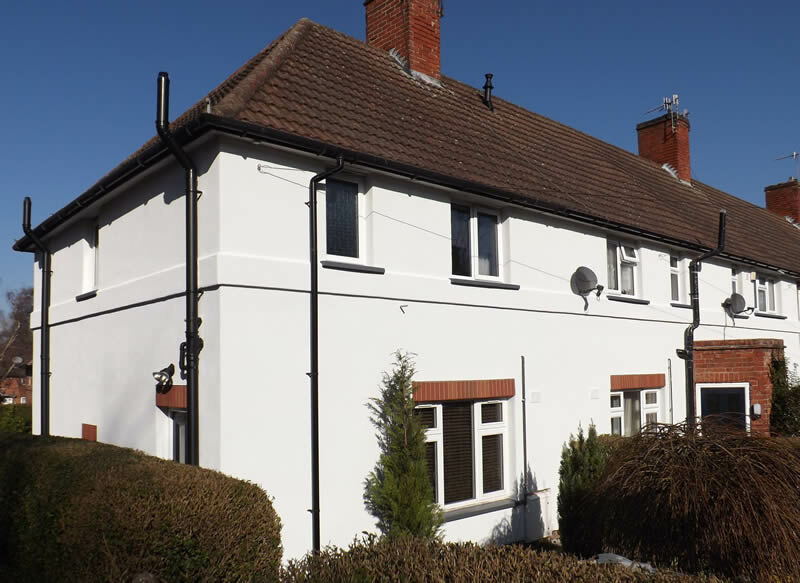 It also notes that "examples of Best-Practice were often identified in cases where the installation of EWI was viewed not as a measure but as a construction project where appropriate management principles were applied in planning, resourcing and implementation." Private owners were offered exactly the same measures as tenants. A fixed price offer based on the property’s archetype was determined for private owners (on average £2300). This allowed installers to be able to quote price ‘on the doorstep’ and interest free loans were made available. The report also points to the value of effective collaboration, saying: "One key factor in this project was teamwork – all stakeholders including clients, contractors and residents were involved from start to finish. Early contact between contractors and client helped to build trust. Resources were committed from both sides even before contracts were signed. Detailed design decisions were made before the price was set, so it was not necessary to make compromises later to fit the budget. The designers worked closely with planners to agree detailed design issues." It also states: "There were full time PermaRock technicians on site at all times to advise and oversee installation work. All completed work was signed off by PermaRock and SBS. Where E.ON was providing grant funding through the Energy Company Obligation, E.ON inspectors were also part of the inspection regime." The researchers also pointed to continuity of work as a key factor in reducing costs. It recorded that "the work was done in phases, with each new development overlapping with the previous one. This meant that personnel and infrastructure could be transferred straight from one job to another, thus minimising waste of resources. At the peak, with three developments overlapping, there were 100-120 workers employed." One interesting conclusion later in the report was that short-termism in funding has a detrimental effect on cost effectiveness and quality. Researchers found that "in a grant funding-based environment, the processes which hampered cost efficient delivery were largely due to the inconsistent short-term nature of the funding schemes themselves. These funding models were largely considered to not support the adequate planning periods needed to achieve the high quality installations (such as the Nottingham case study.)" It also suggested that piecemeal funding tended not to "enable more widespread uptake" or to "maintain the supply chains required to achieve cost efficiency." Later, the report concludes that "short term funding is not conducive to sustaining the market, maintaining job security and retaining knowledge and resources within the contractors/councils." Bearing in mind that this report is intended to steer government policy in the future, it is notable that the authors seem to favour the funding and support of intensive location-based schemes, rather than national funding schemes that have no geographical focus. In its 'Findings and Conclusions' section, it notes that: "The main method to achieving significant economies of scale is by having a large cohort which could be taken as a package to procurement. This is probably more viable in situations where a large group of properties was under the same owner ship and co-located to some extent... In addition, EWI interventions should, ideally, take place alongside other performance-improvement construction works (such as window and boiler replacement). This integration between the installation of different measures can result not only in a healthier and better building, but also in a potentially cheaper outcome overall." Responding on behalf of SB, company chair Derek Horrocks said: "We and our key supply chain partners have developed very efficient, quality-focused procedures over a period of many years, so it's great to see independent experts taking note. This isn't the first time that our work has been presented as an example of best practice, and we're determined that it won't be the last."